Rules: Artifact (You may play this card from your graveyard. 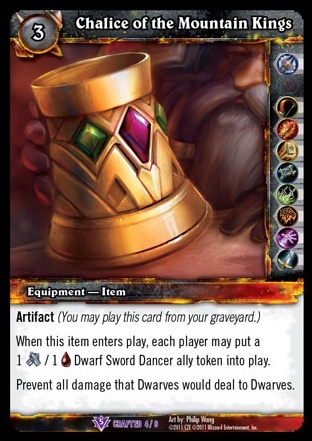 );When this item enters play, each player may put a 1 [Melee] / 1 [Health] Dwarf Sword Dancer ally token into play. Prevent all damage that Dwarves would deal to Dwarves.